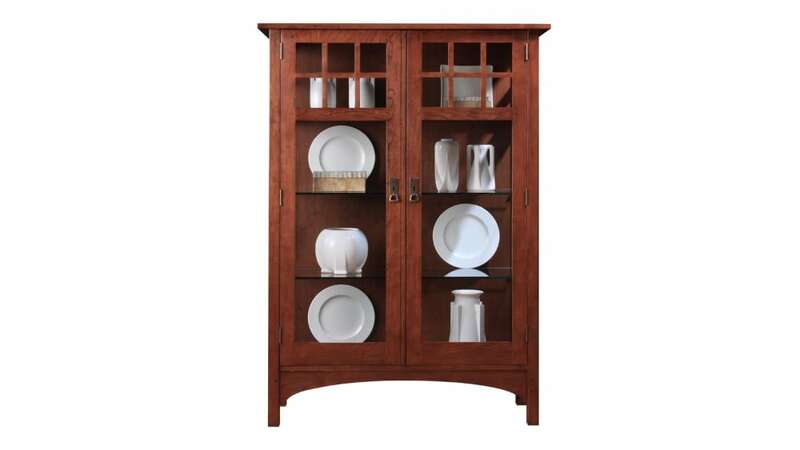 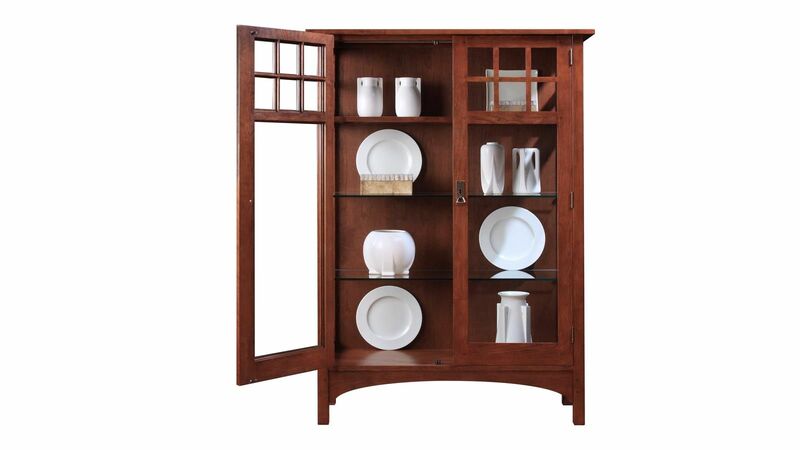 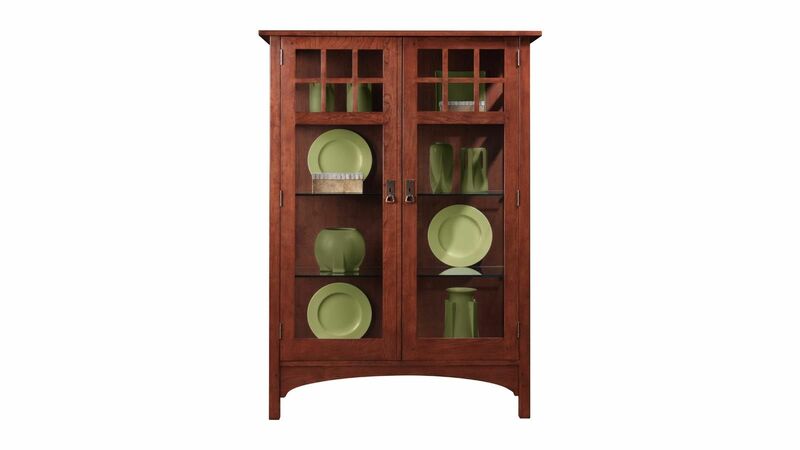 The Stickley Collector's Edition comes with a choice: select either wood doors with a decorative Harvey Ellis inlay, or choose glass doors and sides. Tongue-and-groove joinery on the top, as well as pinned mortise-and-tenons on the frame and doors, show the highest quality. 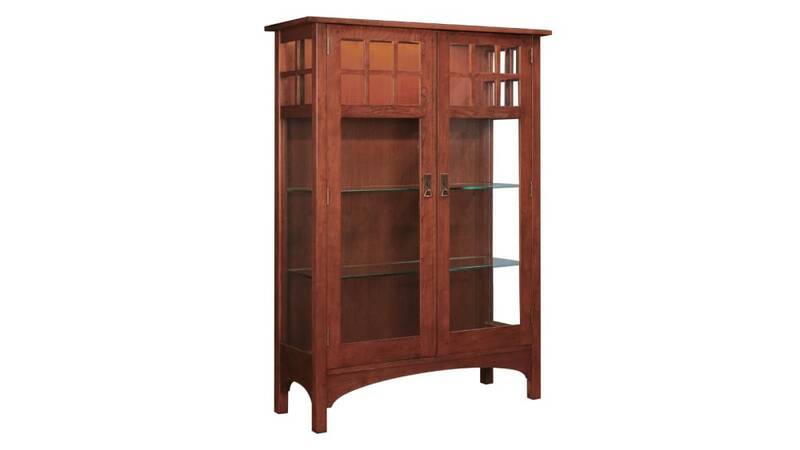 Light the display area with the LED strip. 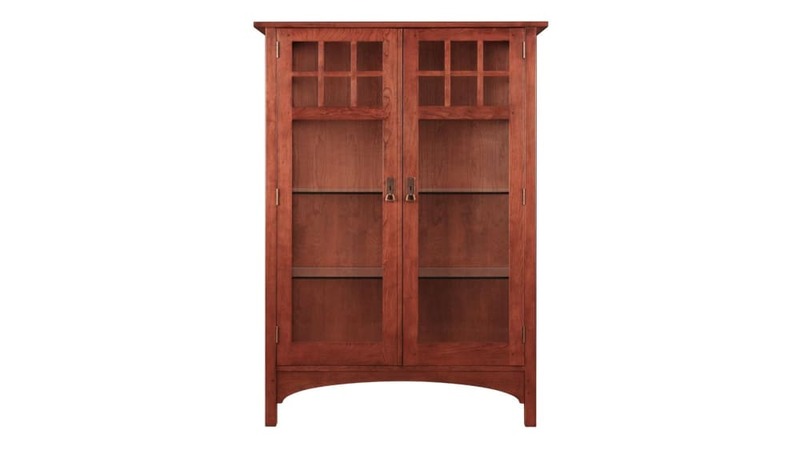 Three solid wood shelves - or solid wood framed shelves with glass inserts - have position options at 1¼" increments. 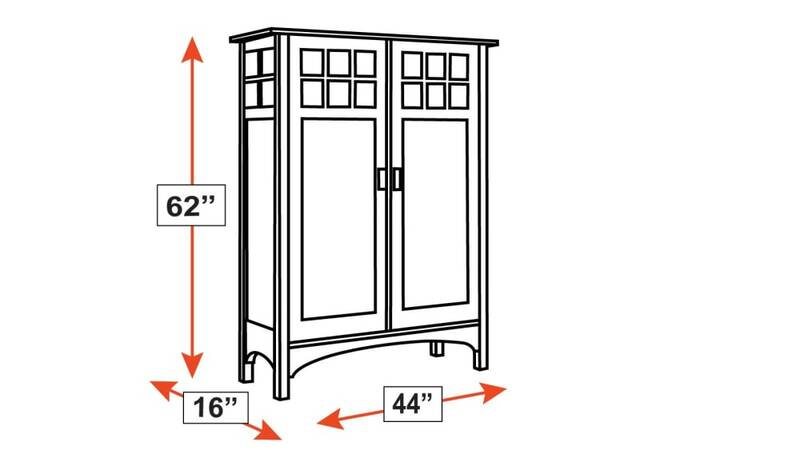 Adjustable glides under each leg help to level the cabinet on any floor surface. 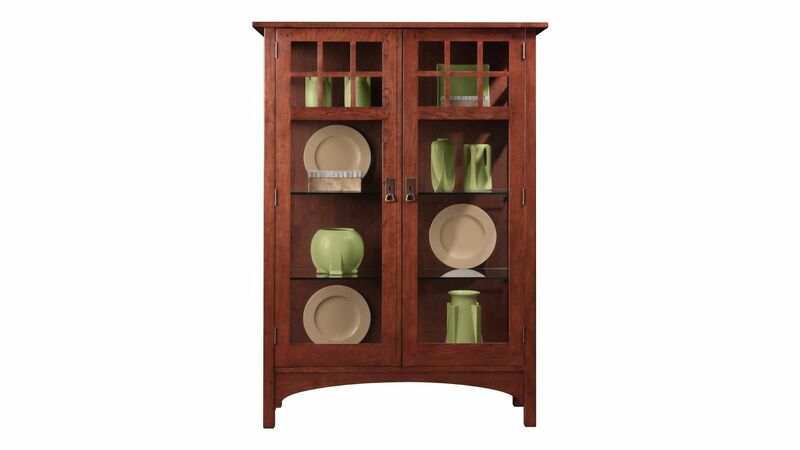 This is premium, top-quality, solid wood, Made in America furniture!